This model 7-5" "Fisherman-Hunter" is a wonderful and quite rare little Randall from the 1970's. 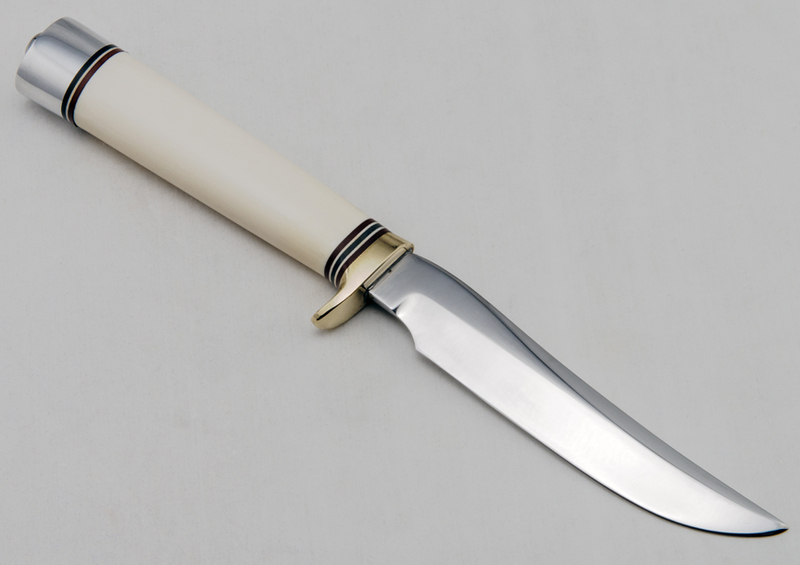 It features beautiful cream colored, pre-ban ivory and a shop chrome plated blade. Randall offered chrome plating from the late 1950's to mid-seventies specifically for large display Bowies. Plated knives are rare and a small plated Randall like this model #7-5" is very uncommon. 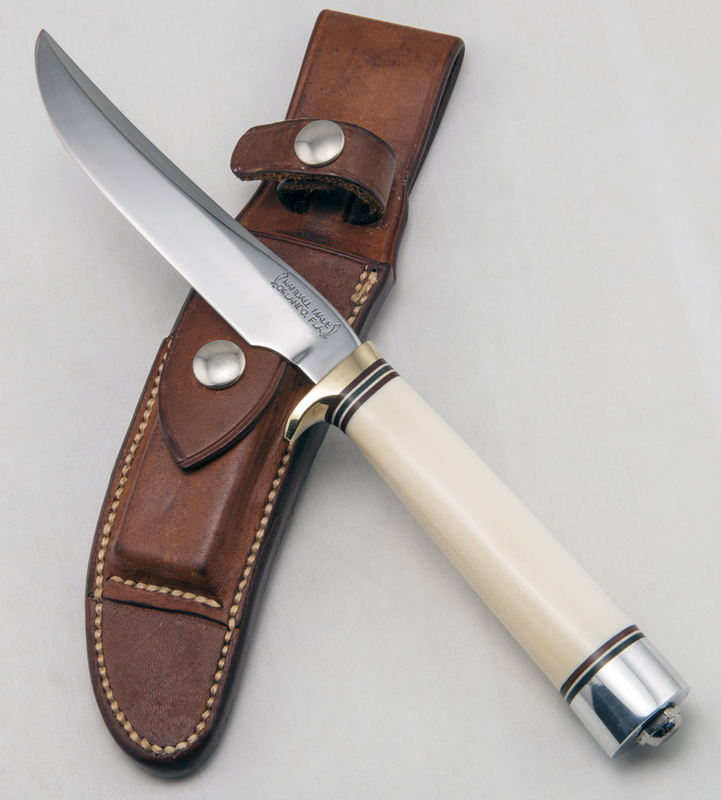 The sheath is a rough back Johnson and carries the appropriate white hone.